Based in Barnoldswick, Lancashire. We manage a wide selection of rented accommodation, apartments, cottages, terrace houses, semi and detached houses etc. We are family business and are very busy bees so if at first we miss your call then please try again or leave a message – we will return your call or respond to your message / enquiry promptly. The main benefit of this is that you know you will deal with the same person through the whole process. We are happy to visit you at home if you struggle to get to the office and can arrange this – We have a top reputation for offering tenants high end accommodation in the most sought after areas. We offer full property management for your property or can offer a “let only” services. WHY NOT LIKE OUR FACEBOOK PAGE TO KEEP UP TO DATE WITH ALL OUR NEWS ! 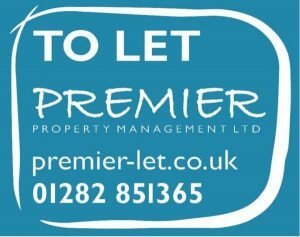 We have been offering property management for over 18 years and pride ourselves in offering a superb service to landlords that have property / properties they have available to rent. We are located on “The Butts” just off Church St so in an ideal location for passing trade and with ample free street parking around. Our office ours are limited due to appointments and inspections being booked in afternoons and early evenings. Appointments are available at all times out side the office house which are Monday, Tuesday and Wednesday 9 – 12 noon. We take telephone calls 9 – 3pm Monday to Friday – However to aim to check emails and messages at all times including evenings and weekends.